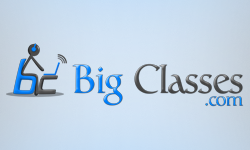 BigClasses is a name to reckon with, from the last ten years we are the pioneers in IT Online Training. Now with the advice, blessings and trust of thousands of..
English Speaking Video is lot more affective in online learning because in English Speaking Video you can watch the videos, listen to the audio, and do the practice as many.. The best way to learn English is to Learn English Online because listening is one of the best ways to learn language, exposing the learner to large amount of fluent..
BigClasses has an upbeat task, like how we have proved ourselves in IT online, that we are the best, now for online English we have the same commitment, in fact..